I believe that the majority of people enjoy listening to music. I personally listen to music at all times: while working, at home, when I am reading, cooking, or cleaning the house. This is why it is really important to have a speaker that sounds great. The soundbar I own sounds great, however, especially when I spend time in the kitchen and I want my music to play there, I prefer to have a smaller speaker with me. The BlitzWolf BW-AS2 40W Double Driver Wireless Bluetooth Speaker turned out to be exactly what I need. This little fellow is really easy to carry around, given the fact that it is wireless and it sounds amazing. I purchased the wireless speaker only a few days ago and I instantly fell in love with it. First of all, I was impressed by its great looks. The BlitzWolf BW-AS2 40W Double Driver Wireless Bluetooth Speaker looks simply amazing. It has a hexagonal shape that is rather unusual and turns this speaker into a really good-looking and stylish one. The shape of the device is really cool and the finishes are great quality too. Overall, the design is a really winning one and the BlitzWolf BW-AS2 40W Double Driver Wireless Bluetooth Speaker looks really good in any room. 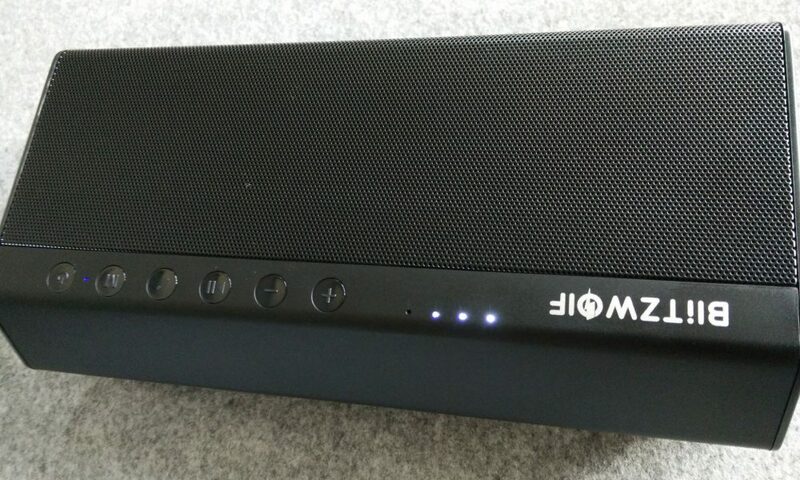 It is not the lightest wireless speaker out there, so I wouldn’t start jogging with it in my hand, but if you want to use it in the house, in the garden or to carry it with you in a bag, it really is great. The device has a number of buttons and indicators, so it is really easy to use, there is a button for everything. There is a battery indicator, first of all, so users know when it is time to plug the device in. There is also a power button, naturally, a volume +button that doubles as a Next button, a volume – button that doubles as a back button, a play/pause button, a mode switch, and a telephone button which allows users to answer or reject an incoming call when listening to music. Also, there is a mode indicator, so that users always know which mode they are currently using. The speaker also interacts vocally with the user, so it can be operated in darkness. Of course, the design is not why we choose one wireless speaker over another. Or at least, it shouldn’t be. 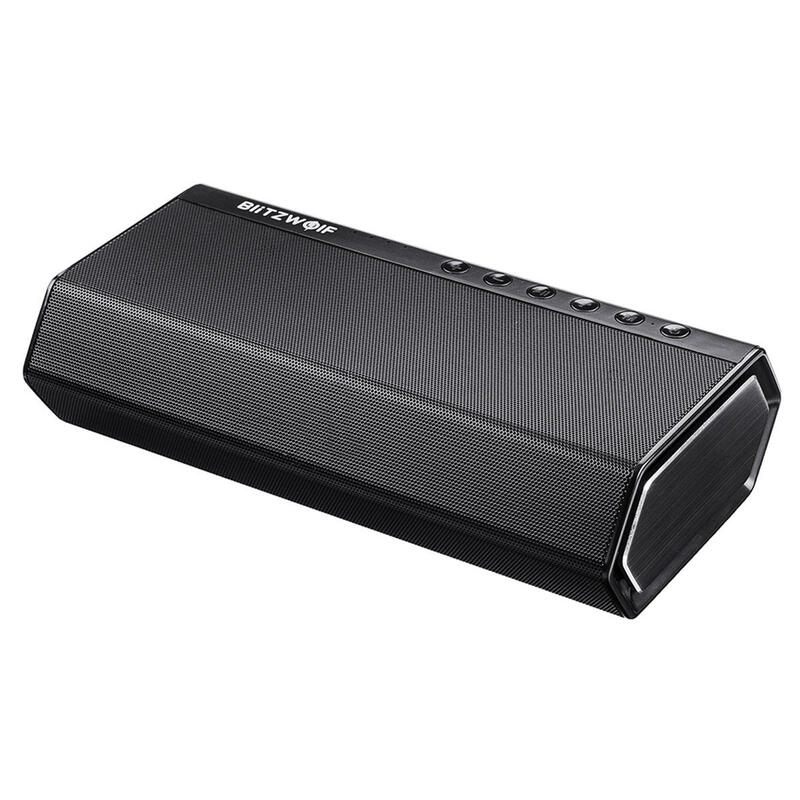 Thankfully, the BlitzWolf® BW-AS2 40W Double Driver Wireless Bluetooth Speaker impresses with its sound too. The speaker connected seamlessly to my smartphone, without any problems, so I managed to listen to my music in a matter of seconds. 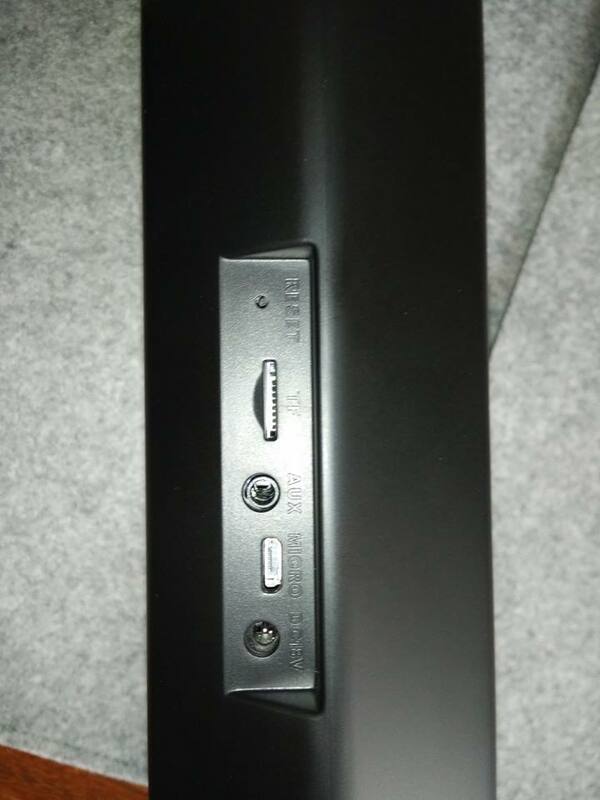 The speaker has a full sound and it can be really loud if you want it to, however, inside you won’t need to turn it up more than 50% of the volume it can perform at. The maximum volume can come in handy at a garden party or when spending time outside, though. The sound is clear, clean, and the upwards bass and professional 2*5W MId-Treble are simply amazing. For such a small device, the BlitzWolf BW-AS2 40W Double Driver Wireless Bluetooth Speaker manages to perfectly balance high, mid and low sounds, so the end result is really impressive. The speaker is equipped with a 5,200mAh battery, which can hold on for around 4,5 hours. However, users should keep in mind that if they are listening to music on full volume, this time shortens considerably, so they will probably get somewhere around 2,5 hours of really loud music. The device charges in up to 6 hours when connected via its USB charger or in half this time through an 18V adapter charger. 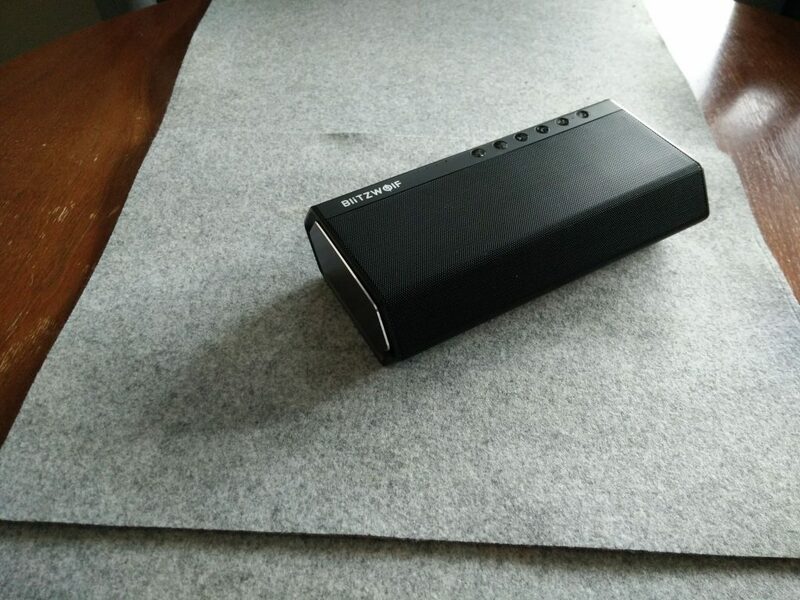 Even though the majority of people choose Bluetooth speakers because they prefer to connect their smartphones to it and play the music like this, the BlitzWolf BW-AS2 40W Double Driver Wireless Bluetooth Speaker also has a 3.5mm audio jack and a TF card port, so users have other options too, not only to listen to the music they have on their smartphone. I tried all the options, and the speaker sounds equally great with all of them, however, in some cases, the possibility to physically connect one device to another just works better, so it’s nice to have this option. 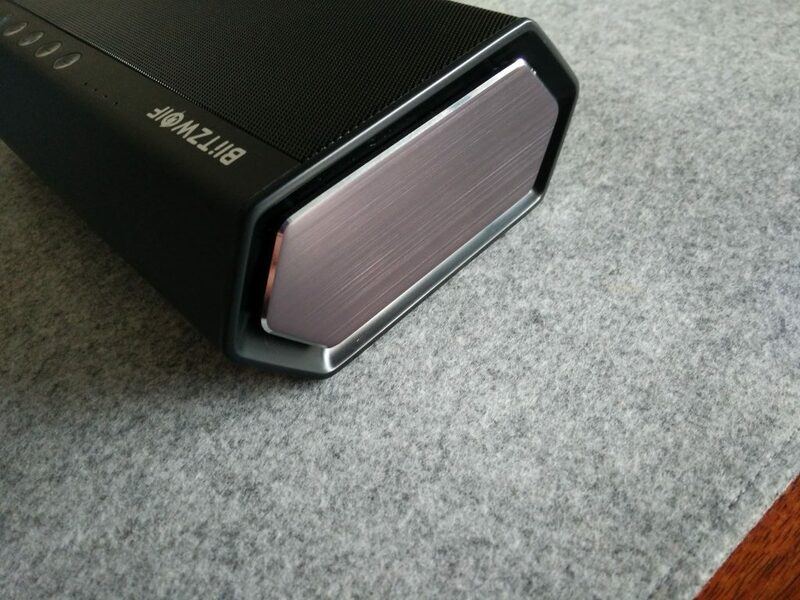 The overall experience offered by the BlitzWolf BW-AS2 40W Double Driver Wireless Bluetooth Speaker is really good. At this point, the BlitzWolf BW-AS2 40W Double Driver Wireless Bluetooth Speaker is available for purchase only on Banggood, for CA$ 79.87 (there is a 25% price cut) but it will soon reach Amazon too. It could turn into a great Christmas gift, especially for those who can’t live without their music by their side.